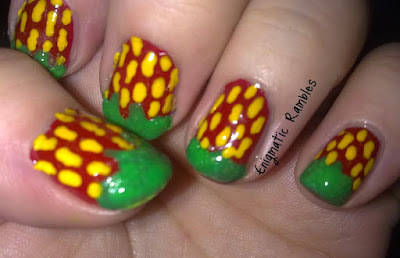 Today I have a redo of some nails I did back in 2011. I still have room for improvement. I think I have improved on my hand pose, so now you can actually see my nails! 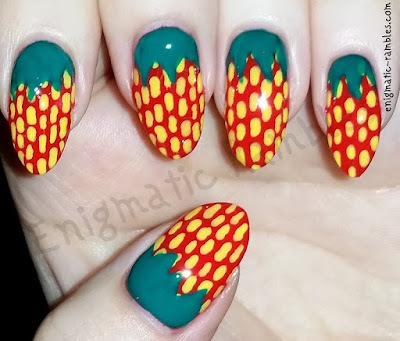 These were freehand strawberries which I first attempted in 2011. I would have it a guess that the base is ELF Light Red and both the yellow and green are nail art pens I got around that time. And these from today, I used a dotting tool and a small paint brush for the details.